At the time, Government and Scientific bodies wrote white papers to enlighten their peers on a particular subject, for example, investigations into a new technology. These documents were supported with impartial, unbiased facts to aid in the decision-making process. The authors had no ‘agenda’ other than to assist their readers to understand the subject in question. White Papers are frequently based on market research, polls, or surveys that a company has carried out, or has sponsored in conjunction with a research firm. White Papers help convert prospective customers into paying customers. In the IT world, these documents are critical to your company’s survival, growth, and success. White Papers influence prospective customers. Not every customer will phone or email you about your products – but they will download your white papers—and case studies—and then read them at their convenience. According to market research, white papers are the first port-of-call for decision-makers when investigating a product. Decision-makers, such as CIOs and IT Managers, are under tremendous pressure to make the correct choice when choosing a products and/or service. You can help them make that decision by producing persuasive arguments in your paper that demonstrates why your product/service fits their requirements. Your document helps them build a case for recommending your product to their superiors e.g. Board of Directors. It is for this reason, that graphs, charts and diagrams are so valuable. They will frequently be cut-and-pasted out of your documents and into the PowerPoint presentation that the CIO will make to his team. 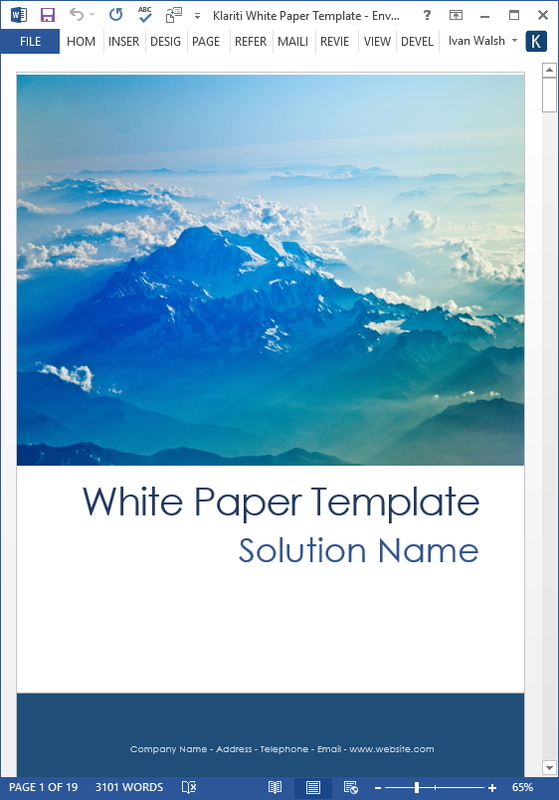 Don’t underestimate the role that white papers now have in the IT industry. White papers are the first external source of information consulted by decision-makers on a particular product. White Papers are widely distributed amongst those in the decision-making process. Executives often consult White Papers even before their own Sales team. 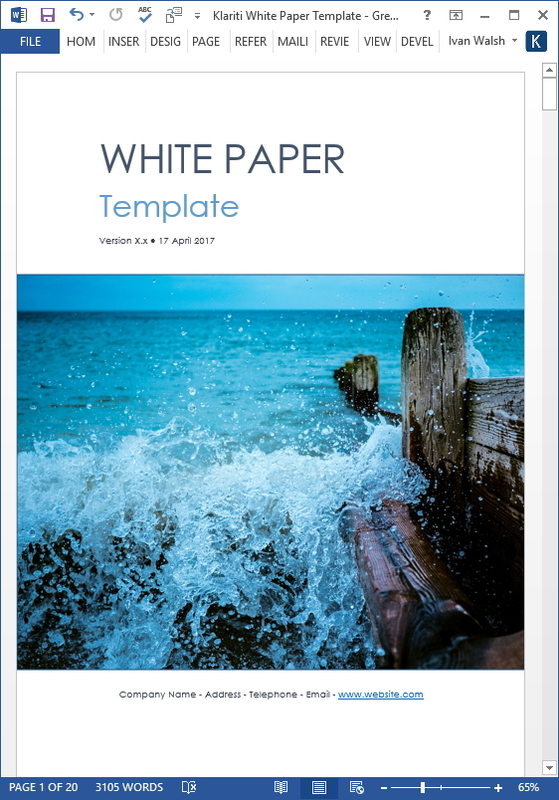 White papers provide critical input into the final decision about selected a product or service. White papers have a very long shelf life. Magazines, newspapers and other material get discarded quite quickly; white papers, in contrast, get filed for future reference and remain for long periods on corporate intranets. With this in mind, your White Papers need to be more than dry technical documents. They should present your company as a market leader, as the right choice, and reinforce why to select you over your competitors. Use White Papers as strategic tools in your marketing arsenal and influence those in the decision-making process.